Come dance with us! Regular dance sessions are held the 1st and 3rd Sundays (except July), please visit the IMT website (Calendar of Events) to confirm a particular date. We'll teach or review a dance or two, then dance them - beginners are welcome, dance partner not required. Come dance with us! The lively music of Ireland was made for dancing, and moving to the music simply enhances the enjoyment of it. Set dancing is a traditional social dance form in practice for over 150 years in rural communities in Ireland. It is very much alive and well today - in Ireland, across the United States and around the globe. Session cost? A small free-will donation to the céilí fund is always welcome. 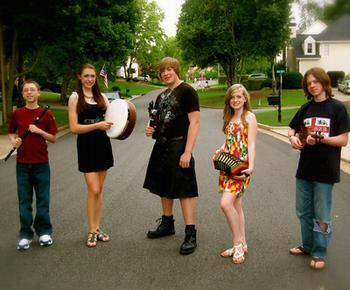 Every Sunday 12-2pm: Seamróg Performing at Durty Kelly's Irish Pub Alpharetta. Atlanta's newest traditional Irish teen band with fiddles, flutes, song and dance-- flying you home again to Clare and Galway with music from the heart and hearth. Lift a foot and a pint as Seamróg (Irish Gaelic for Shamrock) entertains your entire family. Sundays: WRFG's Celtic Show (Sundays from 5 to 7 pm), and the rest of the station's wonderful programming, is now broadcasting to the entire metro Atlanta area (and more) at 100,000 watts from our new tower/ transmitter. No more black out areas... no more flakey reception just a few miles NE of station. Try it for yourself: 89.3 FM! A Beginning/ Intermediate Session is held at The Harp Irish Pub, 1st and 3rd Sundays from 5-7PM; family friendly. Bring your instrument and your tunes! This new session is not a teaching session and not associated with any formal organization. Just a venue for working your tunes up to speed and a place to swap new tunes and musical ideas. An advanced session is conducted every Monday at 8:30PM at Fado. For more info, contact Gary White. The Harp also provides Live Music every Friday & Saturday, 9PM, although many sessions are not Celtic. Patrons at the Grange Pub in downtown Decatur got a pleasant surprise on Tuesday, May 12th, when they looked up from sipping their beers to hear the great sounds of live Irish tunes. The music was being provided by a new Irish music session to be held at the Grange every Tuesday night, led by noted local fiddler and singer Moira Nelligan. Moira has assembled a group of ten or so top musicians to play at this session for advanced players. With such talent on display, you know that the music will be of the best quality: sprightly, lively, energetic and enjoyable. The Grange Pub has a great atmosphere, good food, and a large selection of unusual beers, plus a welcoming Irish ownership. Try to make it by and give a listen. Celtic Session at Manuel's Tavern, Second Sunday each month. The session normally start around 3:30 to 4PM. Athens Session at The Globe (corner, North Lumpkin and Clayton Streets), a genuine Athens landmark, is going strong. 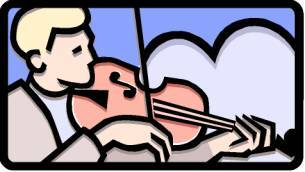 The Session is held at 3:00 PM (1500) on Sunday afternoons, and is attended by a cast of accomplished musicians of all types: strings, fiddles, pipes and whistles, vocals and percussion. SlipJig Celtic band members and friends host a weekly session on Thursday nights at Finnegan's Pub on South Parkway in Huntsville, 7:30-10:30. Tunes and songs. Always a fine time! Skilled players, interested on-lookers, and innocent by-standers are welcome! For additional information: Phil@slipjigband.com. Regular Irish music session is offered on the 2nd and 4th Monday of each month from 7 - 10pm at CoolBeans in Homewood right next to New York Pizza and Broadway BBQ. CoolBeans Coffee House - is a non-smoking, family friendly environment. Musicians and fans welcome. For more details contact, Marty Bostick. Irish Music Session hosted by members of Mithril in the Fairhope area on Sundays, 6 to 8pm at Café Amore, 103B N. Bancroft Street, Fairhope. For more information: 251-928-0987 or 251-928-2719 or flyingfrog@aol.com.